Washougal Wash. – April 16, 2019 – The Port of Camas-Washougal announces its chosen lead Waterfront Developer – RKm Development out of Portland, OR. RKm Development is a long-time owner, developer and operator of numerous local mixed-use development projects in the Portland Metropolitan region. Their vision for the Waterfront at Parker’s Landing includes a harmonizing, multi-use area for dining, shopping, errands, family fun, and inter-generational entertainment, all next-door to beautifully designed residences with amazing waterfront views of the river and scenic gorge. As agents for positive community growth, their depth and breadth of masterplan development experience will lend itself to creating a multi-faceted public epicenter, with design and programmatic elements that will not only boost the local economic engine, but also amplify the unique amenities of the site to attract visitors, customers and users from around the region. Their goal: to develop a vibrant mixed-use center and regional destination that amplifies and enhances the Camas and Washougal communities. Next steps include negotiating an Exclusive Negotiating Agreement (ENA), which is an agreement between the Port and the developer specifying a period of time in which the parties will negotiate exclusively on a development project. The ENA binds both parties from making any similar deals with other parties for a specified period. It shows the Developer has represented its willingness and ability to undertake certain studies, plans and other activities necessary to define the scope of a development and determine the feasibility of such development on a particular site. The Agreement shall serve as the basis for entering into a Disposition and Development Agreement (DDA). For more information and to follow the Waterfront Development progress, go to Port’s website at Portcw.com. 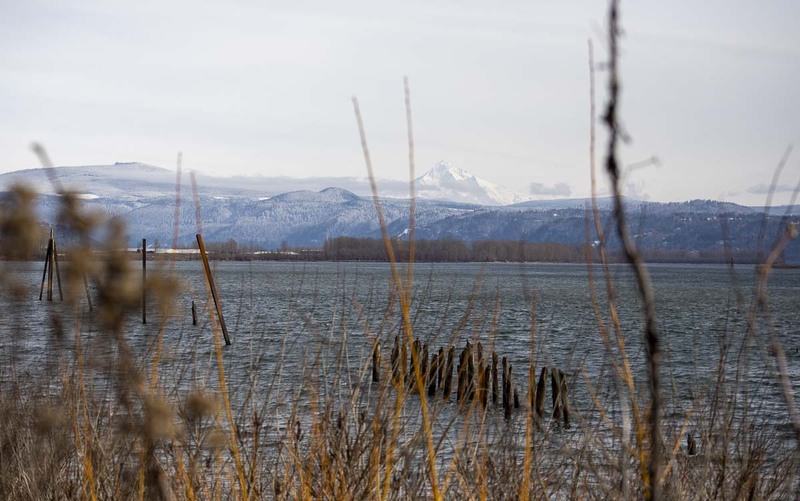 With 26.5 acres of grassland and trails along the Columbia River in Washougal, three Portland-based companies have developed a model of a waterfront; this would add more character to the town. The well detailed models have been recently submitted to the port of Camas-Washougal. The future Washougal waterfront will be a family-friendly destination, that may consist of various stores, water-sport stores, and maybe even a public pool or community center. At the moment in Washougal, there is a waterfront, but it is not the ideal destination, and many people in the area believe it’s time for an upgrade. 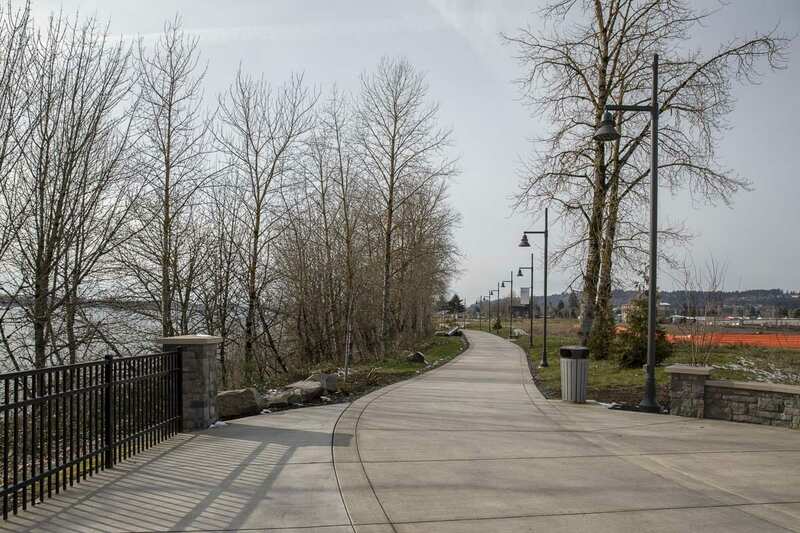 So far at the Washougal waterfront, it consist of a 12 foot cement walking trail that stretches just about a mile long, a kayak or canoe launch, water access trails, plus mini viewpoints. “In the summer my family walks the river trails a lot, we even go kayaking with friends and family, but even though it’s an amazing place, an upgrade on the waterfront would be awesome,” informs Susanna Soto, a student at Camas High School. In the summer, many people both Camas and Washougal, even people from different cities visit the Columbia River (also known as Cottonwood Beach, on this side of the river). People come to Cottonwood for birthday parties, to swim, boat, and just about anything that people do in the summer; imagine if shops and restaurants were added to the land, that would bring a lot more population. “I think that this area needs more restaurants and pit stops, especially if people get tired of swimming in the river.” Even though the waterfront would be a great addition to the area, waterfronts are a challenge financially; it needs an important residential element to make it feasible, which also means that it will take time to prepare. 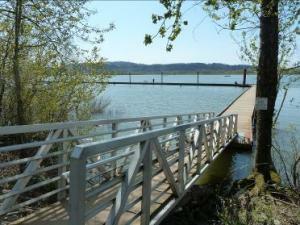 A new waterfront would be ideal for the Camas and Washougal area, and many people are excited about it. The Steering Committee shall be responsible for making recommendations to the Port of Camas-Washougal for the physical design, planning, and construction of a Performing Arts & Cultural Center located on the Port’s Waterfront. The Steering Committee shall develop an operational and strategic plan for the Performing Arts & Cultural Center. The Port continues to move forward with the waterfront development, and we have heard a request from some community members on possibly siting a performing arts and cultural center at this site. Because a performing arts and cultural center has been a topic of interest and in conjunction with local community members, we are now accepting applications for a citizen-based Steering Committee. Beginning in April, applicants will be interviewed and selected. The committee will work closely with the Port’s Commission to guide in the planning process. The application is available here or at the Port Office at 24 South A Street, Washougal, WA 98607. The deadline to apply is Monday, April 1st at 5 p.m. and may be dropped off or emailed to Yvette@portcw.com. The Port of Camas-Washougal makes strategic investments in parks and infrastructure to grow the local economy while preserving the quaint, small-town feel residents and visitors have come to love. 19 miles of trails connect Camas and Washougal to local waterways such as LaCamas Lake, Columbia River, and Washougal River. Expansive views, self-guided cultural tours, local shops, eateries, and an abundance of recreational amenities make the communities of Camas and Washougal an ideal destination for a weekend getaway. For more information, visit portcw.com. It’s our nature to explore. Washougal Wash. – February 22, 2019 – The Port of Camas-Washougal is holding a coloring contest to help introduce Eegah to the community. Construction of the waterfront natural play area will begin in March and wrap up early summer. As a result, Ranger Dave and his friends at the Port are asking the community to help search for Eegah the Sasquatch so we can share the good news. The coloring contest sheets are currently available on our website or they can be picked up at the Port office located at 24 South A Street, Washougal, WA 98671. The Port of Camas-Washougal will also have coloring sheets and free binoculars available at Downtown Camas’ First Friday event on March 1, 2019. Coloring entries must be submitted to the Port office by 5 pm on March 8, 2019. Winners will be chosen the following week and announced via Facebook on March 12, 2019. 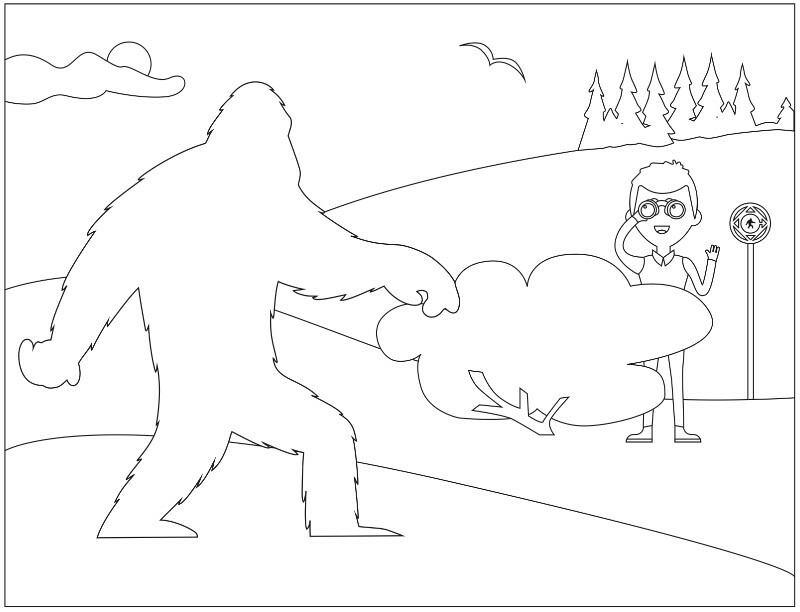 The prize is a full-color book by Derek Sullivan and Kyle Sullivan called Get Dressed, Sasquatch! The Port of Camas-Washougal invites the community to visit their booth during the First Friday event at Journey Church to learn more about this exciting project. For more information and to follow Eegah’s progress to the waterfront natural play area, visit portcw.com. 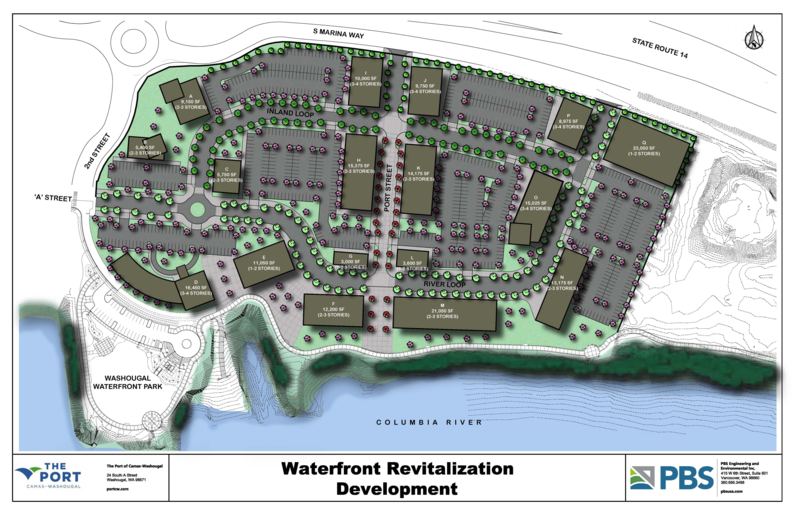 Washougal Wash. – February 5, 2019 The Port of Camas-Washougal is excited to announce it has received 4 submissions from developers in response to the Port’s Request for Qualifications (RFQ) to partner in the Parker’s Landing Waterfront Development. The Leland Consul_ng Group was chosen as the Port’s strategic advisors in January and will assist staff in the interview process for a Waterfront Developer. Interviews are scheduled for the weeks of February 11-22. Addi_onal steps will be determined based on the outcome of the interviews. Upcoming Waterfront projects already in process include the finished grading and clearing of the 20.5 acres of prime real estate to make way for the development to continue. The Waterfront Park Natural Play Area, which is due to begin construction in February 2019 by lowest bidder, Keystone Contracting; and the construction of the connecting trail between the Port’s Waterfront property and the City of Washougal Downtown in the summer of 2019.
to Port’s website at Portcw.com. More information is found at www.portcw.com. 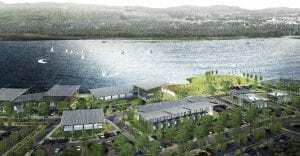 After getting zero bites from developers interested in revamping the Port of Camas-Washougal’s prime waterfront property, port leaders have entered “Plan B” of the waterfront plan, hiring a management firm with ample waterfront development experience. In September 2018, the port issued a request for proposals (RFP) to develop the waterfront. Port leaders had hoped developers would submit proposals by mid-October. When that didn’t happen, the port extended the RFP deadline to the end of November, but still had zero responses. At that time, Port Chief Executive Officer David Ripp said developers told him it cost time and money to put together a proposal and they were currently working on other projects. 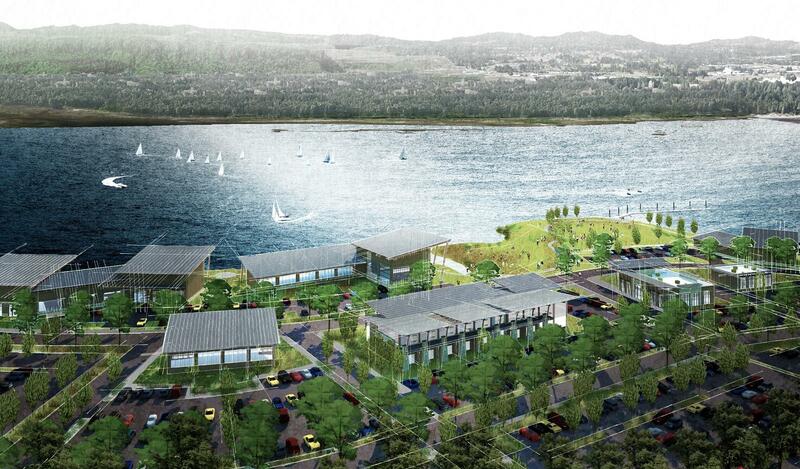 Some developers also expressed concern about their ideas for a waterfront development being available to the public. Ripp said Monday the port did not receive any RFPs last year, so they will decide which developer to work with by requesting qualifications. “Last year, developers were very busy and didn’t have time to develop a proposal,” he said. A company that has worked on several waterfront plans in Washington and Oregon will provide guidance for the Port of Camas-Washougal in the planning and development of its waterfront plan. Leland Consulting Group, of Portland, has worked with the Port of Vancouver and NBBJ Architects to complete a master plan, recruit hotel and mixed-use developers and bring a new restaurant to Terminal 1, a future project on 10 acres. Leland has also worked on the Everett Marina District Master Plan for the Port of Everett, in Everett, Washington; the Eugene Riverfront Master Plan, in Eugene, Oregon; and Independence Landing, in Independence, Oregon. 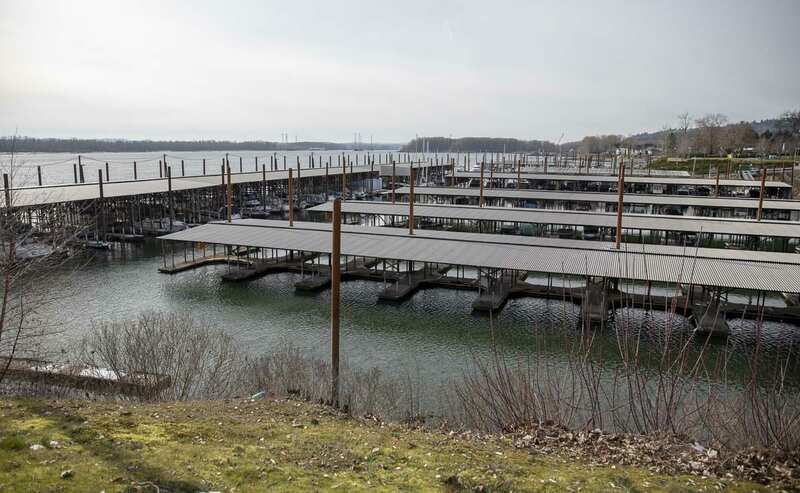 Port of Camas-Washougal commissioners approved a $137,092 contract with Leland Consulting Group to review developer qualifications, solicit developer design proposals and negotiate a preliminary deal and support the negotiation of a development agreement. Leland will also provide a market analysis summary, public buildings analyses of a cultural center and public market and a return on investment analysis. The port is requesting qualifications from mixed-use developers for 26.5 acres of waterfront land, due by 5 p.m., Thursday, Jan. 31. Area residents interested in the future development of the Port of Camas-Washougal waterfront are invited to attend a special port commission meeting on Jan. 22. Port officials will discuss the waterfront property and update the public on “next steps” at 4 p.m., Tuesday, Jan. 22, in the port office meeting room, 24 S. “A” St., Washougal, prior to the commission’s regular meeting at 5 p.m.
Ideas for a mixed-use development on the waterfront have previously included restaurants, a hotel, offices and a cultural/conference center. 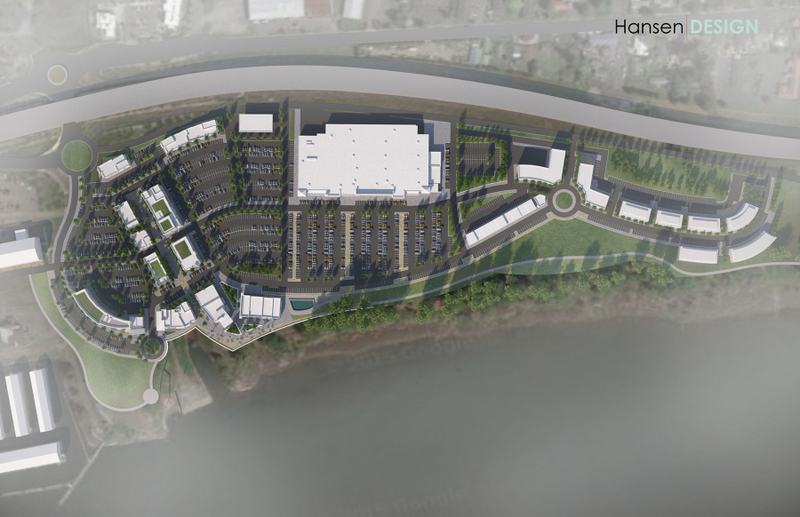 Washougal Wash. – December 11, 2018 – The Port of Camas-Washougal is pleased to announce it has chosen a Port Owner’s Representative to assist in selecting a Waterfront Developer – The Leland Consulting Group based out of Portland, OR. The Leland Consulting Group is a team of strategic advisors focused on urban real estate, economic development, and public-private partnerships. Their expertise in balancing rigorous analysis with candid advice for strategies that will enhance our community and create lasting value make them an ideal choice. Next steps include determining the scope of work, cost proposal and submitting the contract to the Commission for approval at the January 7, 2019 Commission Meeting. On December 14, the Port will send out a Request for Qualifications (RFQ) to all of the interested developers with a deadline of January 31, where the Port will continue the conversation with prospective developers. Upcoming Waterfront projects already in process include the finished grading and clearing of the 26.5 acres of prime real estate to make way for the development to continue. 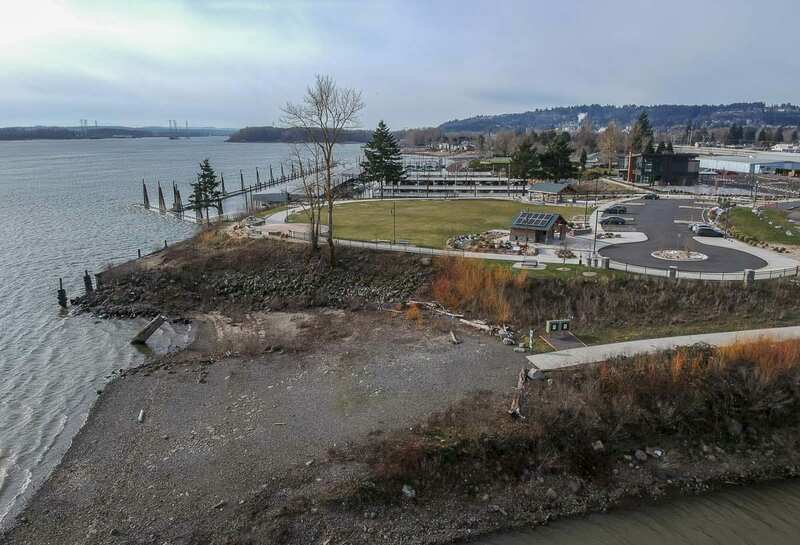 The Waterfront Park Natural Play Area, which is due to begin construction in February 2019 by lowest bidder, Keystone Contracting; and the construction of the connecting trail between the Port’s Waterfront property and the City of Washougal Downtown in the summer of 2019.